Ushering into the new age of rising user demands, ShareChat, India’s fastest growing vernacular social media app, has announced the launch of three new features - “Private Messaging” and “Open Tagging”. With an aim to encourage connections between the users with similar interests and to promote content diversity on the platform, ShareChat has launched these exciting features. ShareChat also announced “Shake-N-Chat” feature which will connect two users engaging with content from similar genres, over personal chat, at random. Basis a survey undertaken by ShareChat on User Meet-up in 2017 across six Indian cities, more than 88% of ShareChat users wanted a Private Messaging feature on their social media platform. Against this insight, ShareChat developed a feature which allows users to send private messages without having to switch to an alternative app. The “Private Messaging” feature is designed to encourage one to one communication in Indian languages among the vernacular internet users of India. Today consumers expect constant, effortless feature updates. To facilitate connections between unknown users with similar interests, ShareChat introduces “Shake-N-Chat” feature, a personal messaging feature which allows users to connect with other unknown users and chat, simply by shaking their phones. 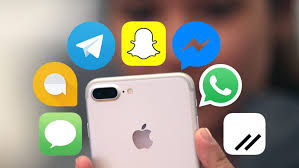 Commenting on the launch, Sunil Kamath, Chief Business Officer at ShareChat said- “Over the years, we have observed that many users shift to other direct messaging apps for privacy purposes. ShareChat is a unique platform which connects users with similar interests resulting in relevant and meaningful discussions. The launch of new features like private messaging and Shake-N-Chat strengthens the platform’s social experience between both known and unknown users. We are very excited to launch these new features and are confident that they will resonate with users”. ShareChat takes into account the everyday need of digital content and infotainment of first-time web users in their own preferred dialect. It enables users with an environment where individuals can express their sentiments, showcase their talents, discuss trends and meet new individuals with similar interests. Today ShareChat has a total 30 million unique registered users on the platform.